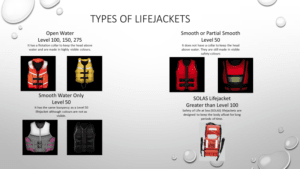 Lifejackets are the most important piece of safety equipment on any boat. They must comply with the standard and be the right size. They should be kept in an accessible position and not used as cushions and fenders. The stowage compartment for lifejackets is to be clearly labelled and visible to passengers. 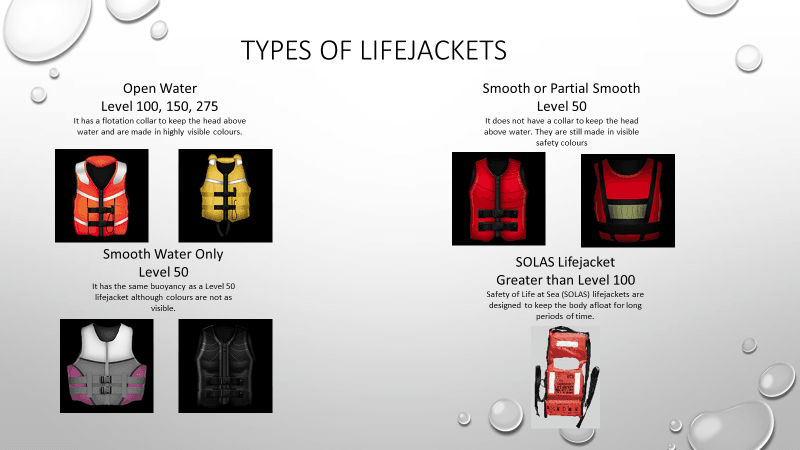 Labels must have the word ‘lifejacket’ in red text on a white background or white text on a red background. Wearing of lifejackets is now compulsory for everyone aged one year or over in open boats under 4.8 metres while crossing a designated coastal bar. Children under the age of 12 years in open boats under 4.8 metres must wear a lifejacket while underway at all times, this includes when drifting. All bars are different, local knowledge, experience and the right kind of boat are critical when trying to cross a bar. Only experienced boaters should try to cross a coastal bar and even then you should be very careful. It’s compulsory for everyone to wear a lifejacket while crossing designated coastal bars in open boats under 4.8m. However, We recommend that you always wear a life jacket when crossing a coastal bar. Once you have started, keep going! Trying to turn around in front of an incoming wave can be dangerous. Never underestimate a coastal bar, even small waves can capsize, swamp, or sink a boat. If you are unsure or inexperienced, don’t try it, seek advice on how to cross safely. In Queensland you must have a marine licence (RMDL) to operate a recreational boat that has an engine power greater than 4.5kW, Additionally You must hold a PWC Licence to ride a Personal Watercraft. For more information about licencing courses offered on the Sunshine Coast, contact Licence to Boat on 0481 395 360. Here is a short video produced by Maritime Safety Queensland on the importance of life jackets for children.